Many of us may be leaving out the step of our skincare routine: cleansing before bed. You’re not alone. In a recent survey, a third of women skips the facial cleanse before going to bed twice weekly. Why it is important to have a facial cleanse before bed? The face keeps touching the world, the pollutants, the dirt and bacteria during the day. If we don’t wash it before bed, dirt would clog our pores; bacteria would grow settling into our pores. My poor pores! What scientists found? The skin has a rare opportunity to breathe and be replenished while you’re asleep. Professor Weaver from University of Massachusetts Medical School states that our body circadian rhythm makes the use of products before you sleep more effective. Skipping facial cleanse, our skin would be aged over a decade at the end. It could become an irreversible damage! Why we should have a facial cleanse in the morning? Dear friends, there are at least three reasons. Remove the unwanted environmental pollutants, such as from our pillowcase, carpet, fireplace etc. Remove the accumulated skin-producing face oil and debris. Prepare the skin to use the facial treatment products. So all beauty therapists educate their clients to wash face twice every day. If you still feel too dry or rude to have both bedtime and morning face wash every day, I don’t recommend you to skip one of them. The problem may be with the cleanser you’ve been using. I would choose KATHLEEN® the newest cleansing lotion that gently lifts dirt, oil, makeup and impurities, without drying the skin. KATHLEEN® Refreshing & Lightening Cleansing Lotion contains 6 active botanical ingredients including anti-inflammatory and antibiotic organic tamanu seed oil that works together with organic glycerin to gently clean and moisturize the skin. Fatty acids and vitamin-E-rich avocado oil, used in this cleanser, instantly soften the skin and reduce the incidence of skin spots and the vitamin C rich lemon, floral rose and lavender works in synergy to refresh and lightening your complexion. Suitable to very sensitive skin! Do you know you need the exfoliation of dead cells for any skin type? Exfoliation of dead cells produces an immediate and noticeable improvement in the appearance of skin. There are 2 popular types of exfoliation – chemical and physical. Chemical exfoliation is not to be used by people with sensitive skins. But physical exfoliation that uses cream with beads would also too harsh for sensitive skin. Another biggest disadvantage of this beads exfoliation, regardless of age and skin type, is the beads are not biodegradable that affect the environment. You will want to carefully choose an exfoliation method that is so gentle to remove the dead cells but not to eliminate and hurt your living cells! KATHLEEN® 150 ml cleansing lotion also supply with 2 gauze muslin face cloth which is made of the finest cotton fabric that can gently exfoliation, lifting away the makeup and dead skin cells without damaging the living cells, leaving your skin instantly glow. If you, like me, need a spritz of tonifying mist following the facial wash, to revitalize and soothe the skin, reduce the redness, then KATHLEEN® Rebalancing & Soothing Tonifying Mist will change your life and your skin’s future. Experience a refreshing spritz of Kathleen’s Tonifying Mist, it quenches skin with abundant moisture to maintain balance and helps to relieve dry skin, soothes surface of irritation. This alcohol-free mist with active aloe vera and glycerin gently revitalizes skin suppleness; Chamomile water and lemon extract work together to heal and soothe skin irritation, leaving skin more tone, less redness and radiant appearance. Perfect for a post-cleanser toner or whenever your skin needs refreshing and soothing. 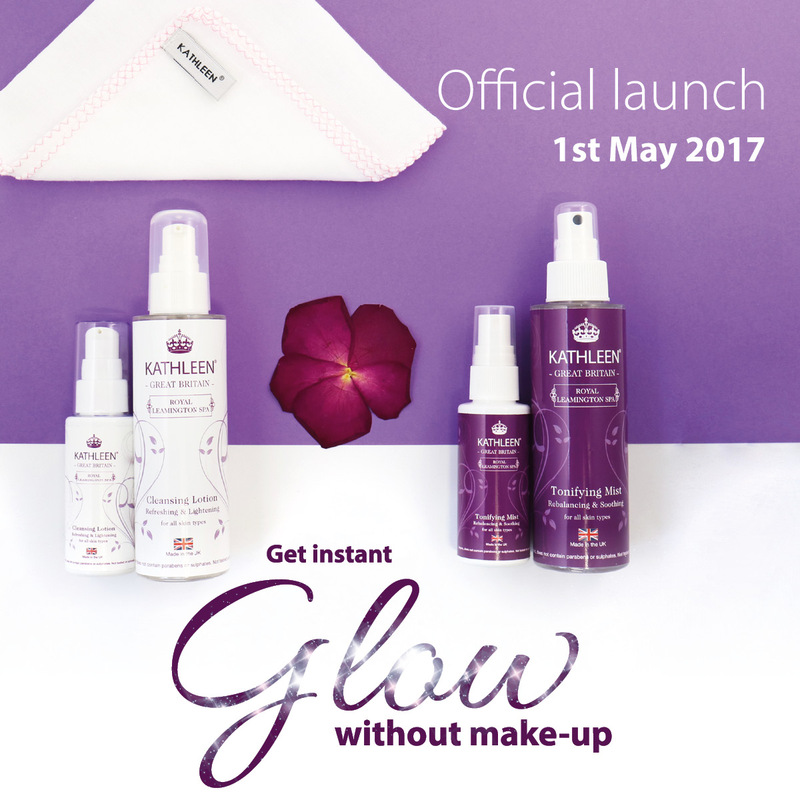 KATHLEEN® officially launches the Cleansing Lotion and the Tonifying Mist on the 1st of May 2017, both available online. These Cleansing Lotion and Tonifying Mist will sure be something you looked forward to at the end of the day and in the morning. If you found this post interesting, you might also like Shea Butter is the skin’s best friend, Have you ever questioned yourself why natural skin care products are better than synthetic skin care products? and Amazing White Illuminating Serum and the Beauty Shortlist Awards. ← Why Caviar Enrich Eye Cream won the Natural Health International Beauty Awards 2017?